Even in a big city like NYC it can be hard to find unique places to go for those of us who try to live an eco-conscious lifestyle. As sustainability becomes the norm, now more than ever businesses are popping up that cater specifically to greener lifestyles and eco-conscious chicks everywhere are celebrating. Here are a few of my favorite new spots to check out next time you are in the city. Location: SOHO | 25 Mercer St.
ANTHOM is the mecca for all downtown strutting, minimalism loving, eco-conscious cool girls. This SOHO shop feels more like an exclusive gallery than a typical brick-and-mortar outpost. It caters to thoughtful women who appreciate design, quality and a unique sense of style. The shop prides itself on featuring a range of cool, underground brands that are right on the cusp of becoming “the next big thing”. It’s probably one of the few places in town where you can get your hands on a pair of sustainable kicks by French brand Veja, or a beautiful kimono by Japanese designer Yune Ho. The price point hovers just around $250 for many items so be prepared to spend a little dough. 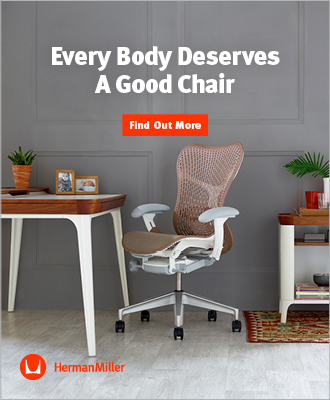 However, the shop does offer a range of more affordable items to cater to the “modern woman” who is looking to combine lower priced items with investment pieces intended to last a lifetime. Check out the space for yourself: ANTHOM Soho is open Monday through Saturday from 11am to 7pm and on Sundays from 12pm to 6pm. ANTHOM store in Soho NYC. 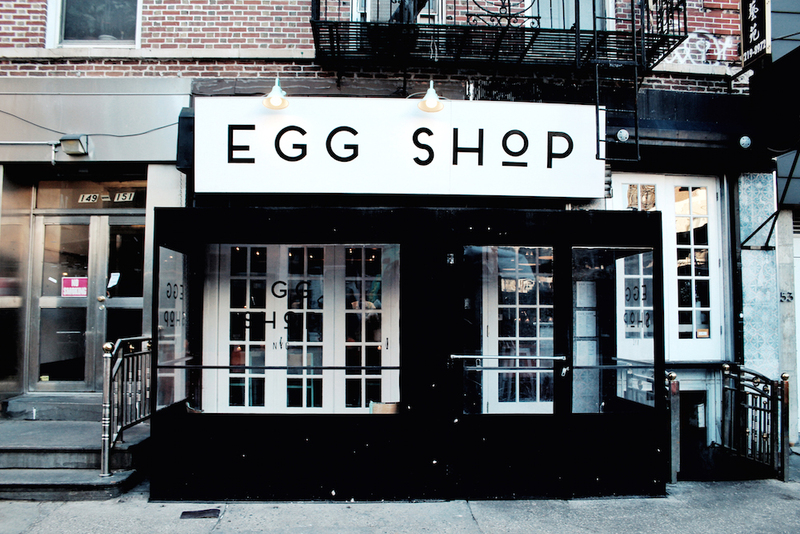 Location: Downtown Manhattan + Williamsburg, Brooklyn, see all locations here. If you’re looking for some delicious, wholesome, plant-based food – by CHLOE is the place to be. With seven locations popping up all over NYC, there are plenty of restaurants to choose from and each one is equally epic. The brainchild of celebrity chef Chloe Coscarelli (winner of Cupcake Wars) and business partner Samantha Wasser, by CHLOE has perfected the idea of vegan comfort food. From delicious burgers and air baked gluten-free French fries to juices, sweets (and even ice cream!) there is plenty to choose from even for the most discerning of tastes. 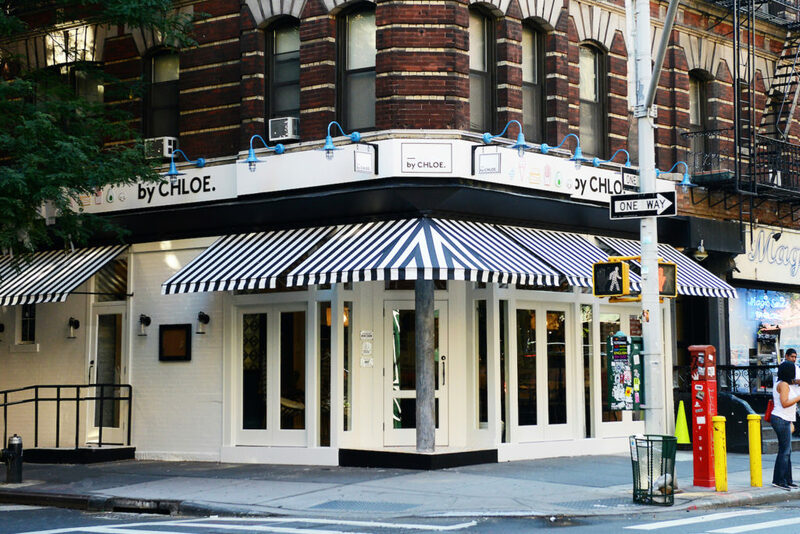 The best way to know that you’ve made it to a by CHLOE restaurant is usually a line around the block, although some locations are busier than others. Click here to check out the menu, locations and hours. by CHLOE (all vegan) NYC. 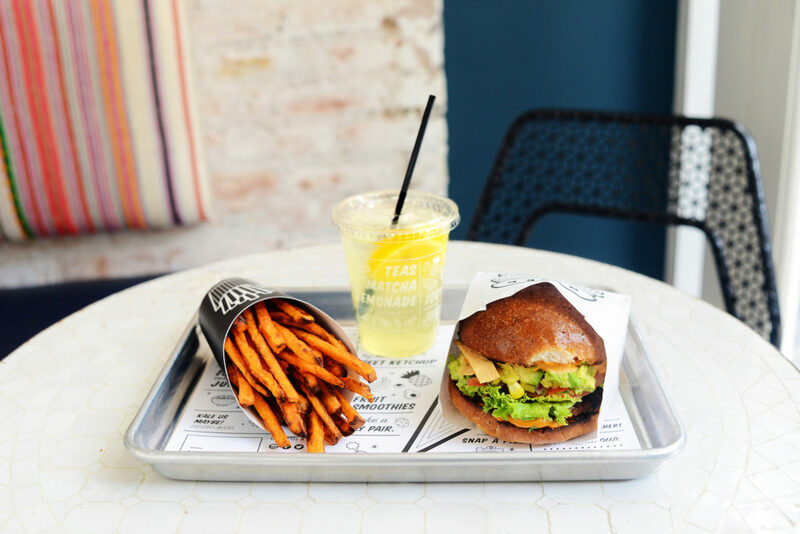 Vegan Guaca Burger, Air Bakes Sweet Potato Fries, and a Seasonal Lemonade. 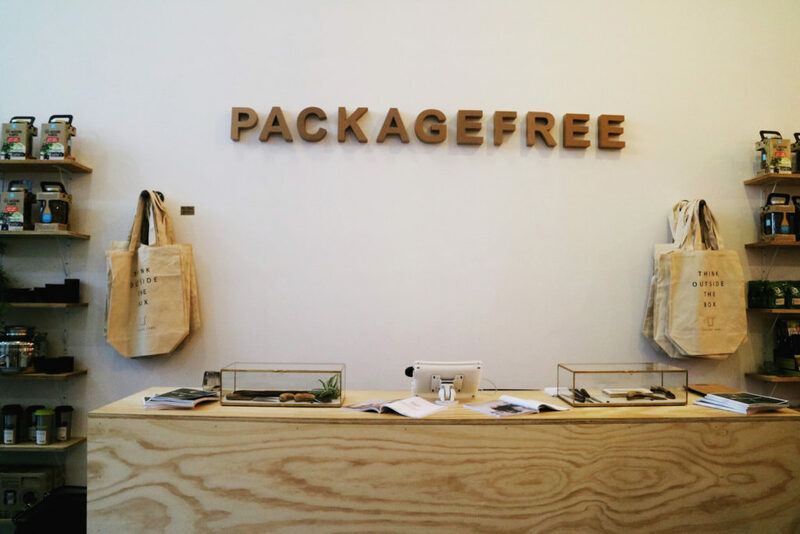 Location: Brooklyn | 137 Grand St.
Package Free is the place to go if you actually #GIVEASHIT about the environment. 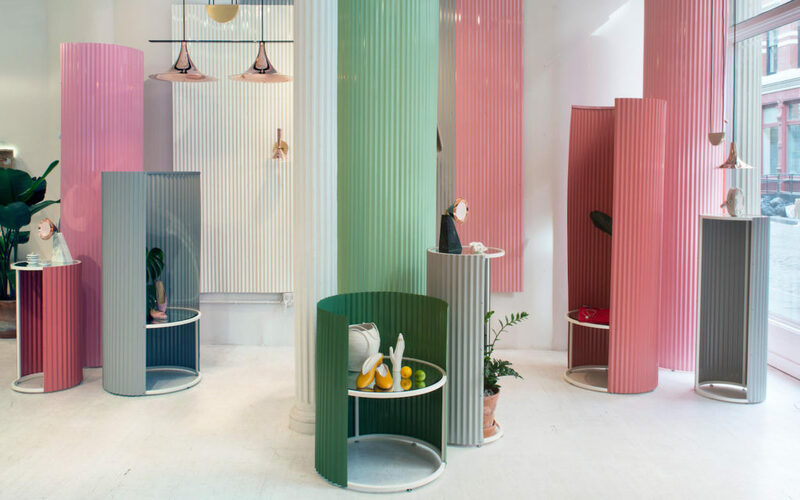 This new shop which opened up in Brooklyn in May 2017 offers everything that you need to transition to a low waste lifestyle all in one place. 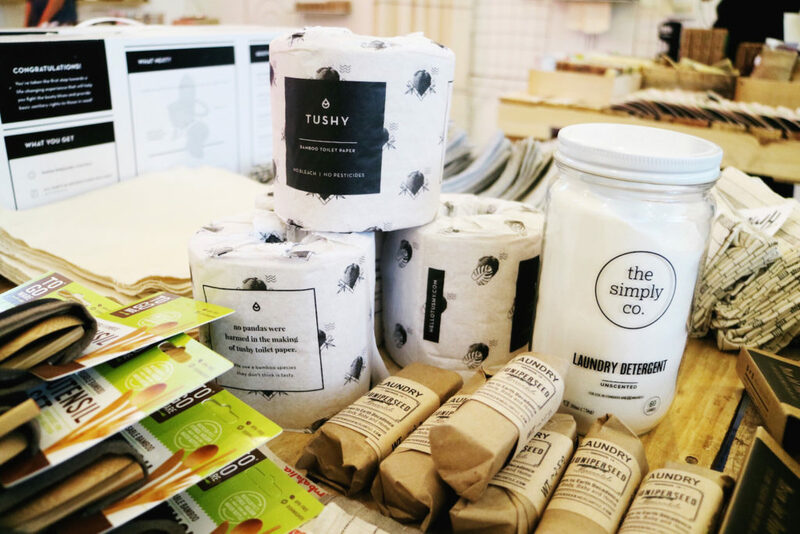 The shop was created by Lauren Singer who is most known for her blog, Trash is for Tossers, and Daniel Silverstein, the personality behind Zero Waste Daniel, a waste free clothing company. Lauren, the founder and CEO of The Simply Co., an organic, vegan laundry detergent and Daniel, a finalist on NBC’s Fashion Star are all about sustainable, beautiful and practical design. The shop offers everything you need to become your most green self. The shop is open 11AM to 7pm daily. Let´s go to Austria asap. Delicious, Eco & Coolest Interior!